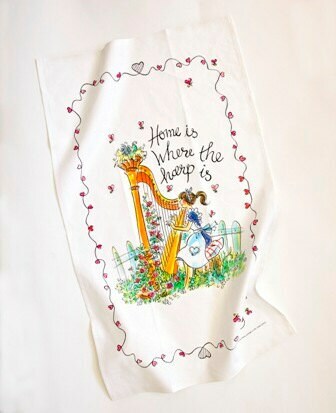 Motif reads "Home is where the Harp is" and the design is a delightful, colourful and fun drawing of a harp and harpist surrounded by foliage in an intricate and stunning depiction. This tea towel is of top quality linen union which is an 8oz linen/cotton mix. You really can't get a better quality tea towel. This design is EXCLUSIVE, so you won't find this anywhere else! Dimensions are: 49 x 69 cms. Comes in its own sealed plastic bag for protection. 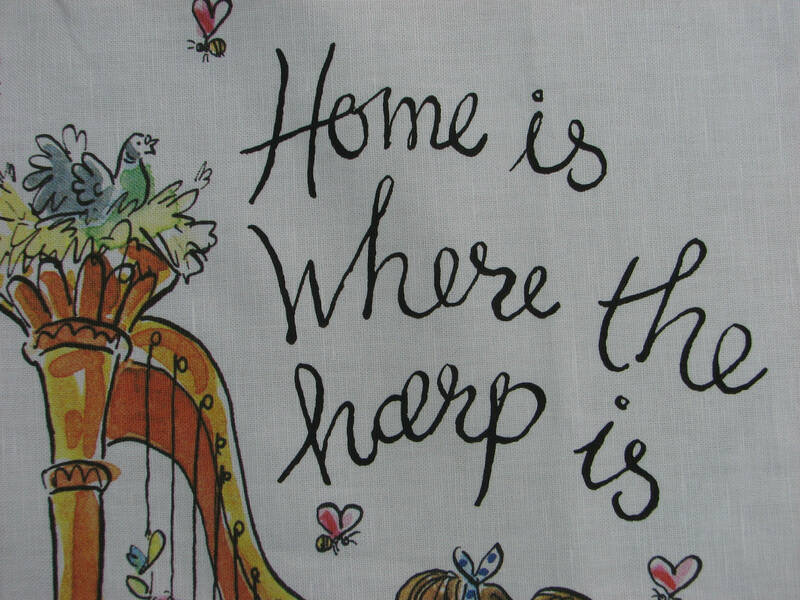 Can be gift-wrapped for free with a card with the same "Home is where the Harp is" artwork. 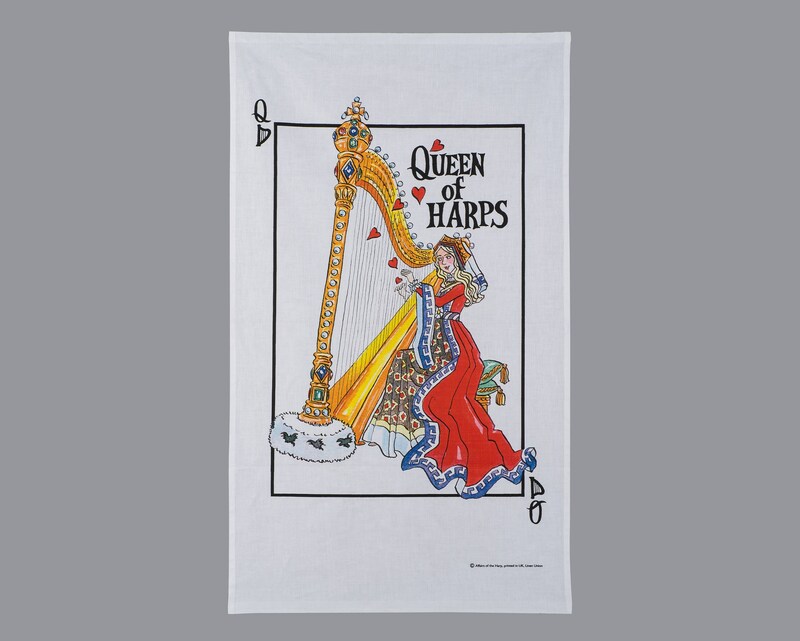 Why not buy the set - see the other fabulous tea towel "Queen of Harps ". What a beautiful towel! 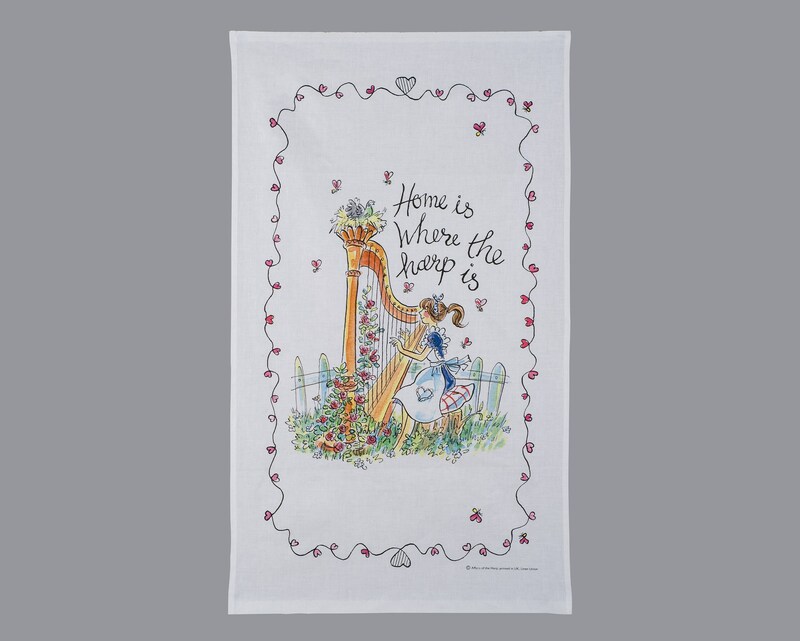 The design is detailed, colorful and full of life - my harp playing friend loved it! The towel is of very high quality and makes a great presentation. It arrived quickly and came with a lovely matching card. Thanks for the perfect gift!